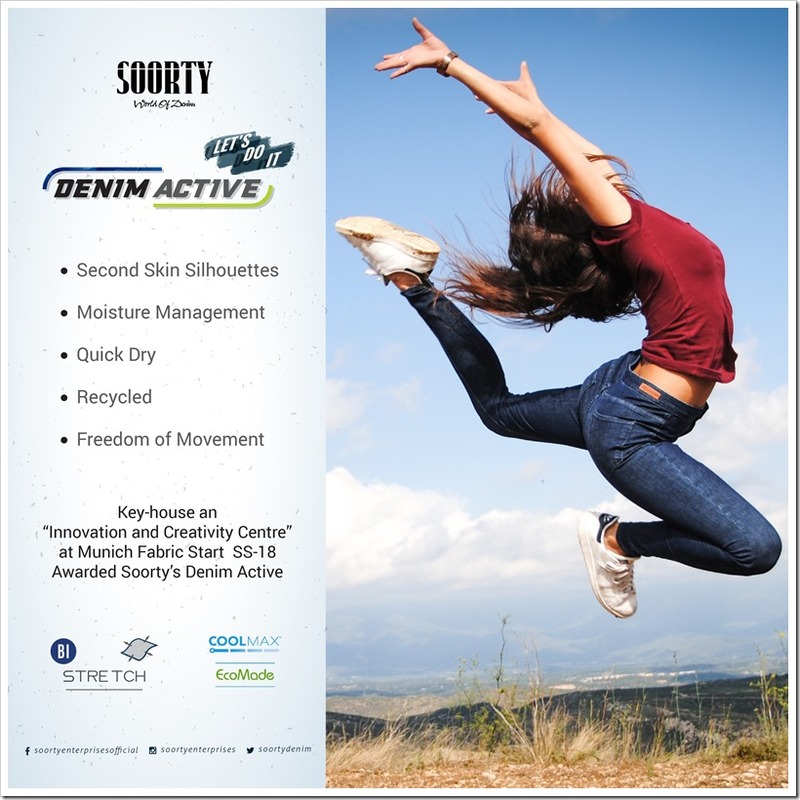 Extending the concept of ‘Freedom of Movement’ to an another level ,Soorty ,a leading vertically integrated denim manufacturer from Pakistan has recently launched “Denim Active” which blurs the borders between casual wear and sportswear. Denim Active is a stretchable denim bottom which has been designed keeping in the mind the need of absolute comfort of consumers. The fabric used , as per the company, is extremely dynamic and adaptable in every sort of activities which demands enough flexibility to ensure comfort. It can be worn while doing any exercise, cycling, shopping or just relaxing at home. Additionally reflecting tapes on the legs are designed to be visible at night for safety. 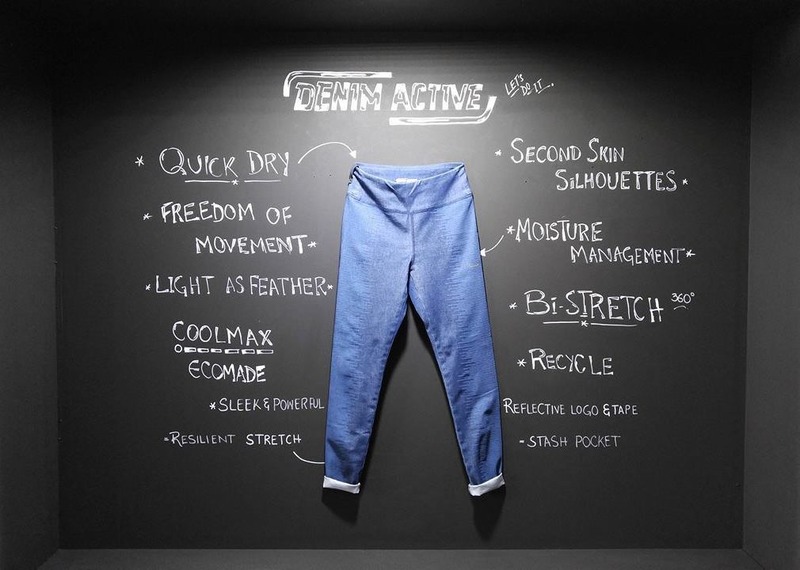 “Denim Active” contains Coolmax which is eco-made® fiber enabling moisture management and is made from 97% recycled resources such as plastic bottles and is claimed to be light as a feather. While working out the body temperature increases and Coolmax helps to evaporate sweat which eventually keeps one cool and dry. The 360 degree bi-etch in a light weight fabric allows to make free body movements. 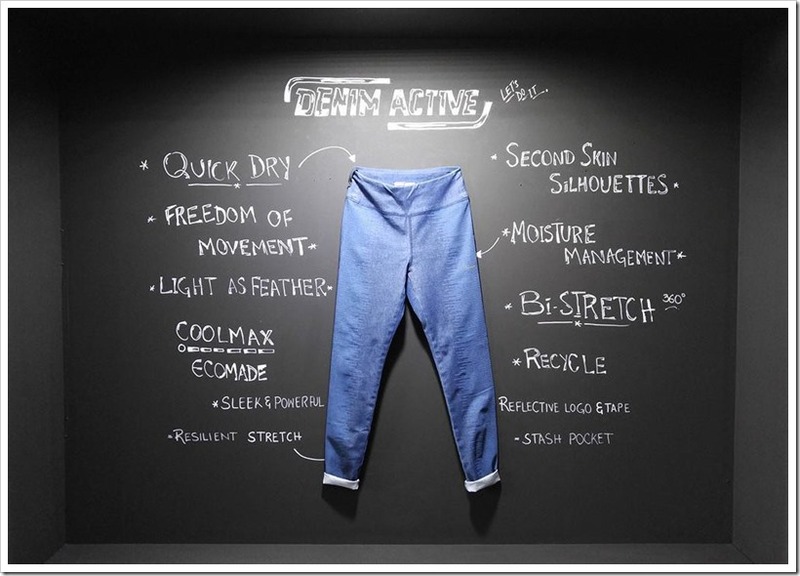 It is soft and comfortable yet having a denim look and feel in a specially engineered second skin silhouette. 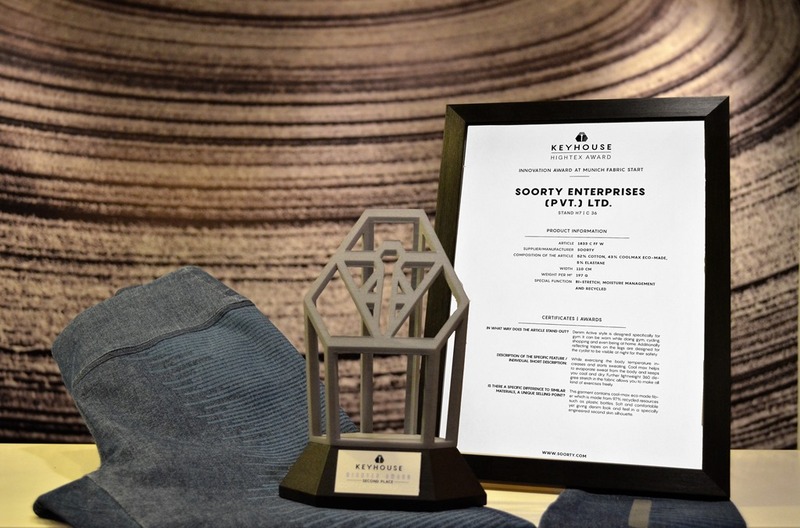 Denim Active has been awarded at Munich Fabric Start by Key-house (Innovation and Creativity Centre). It contains coolmax eco made fiber which is made from 97% recycled resources such as plastic bottles and ensures moisture management. 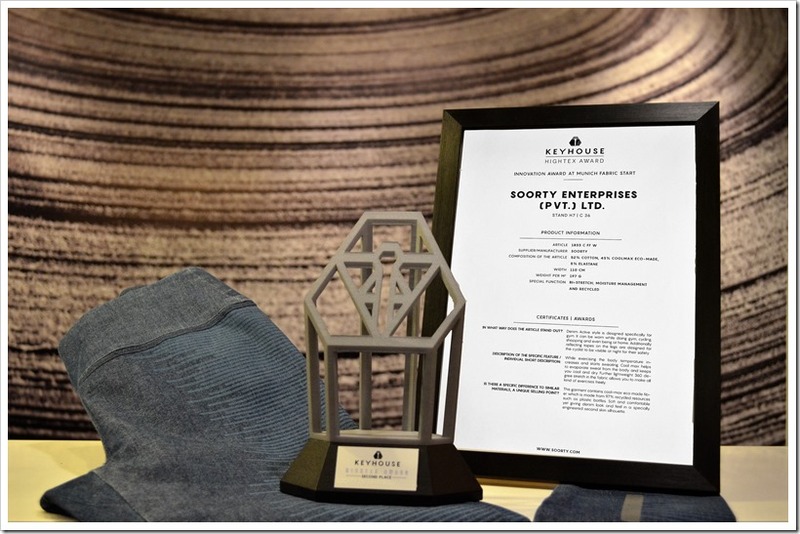 You can also watch an exclusive chat at Denim PV, Paris explaining the other innovations by Soorty here. 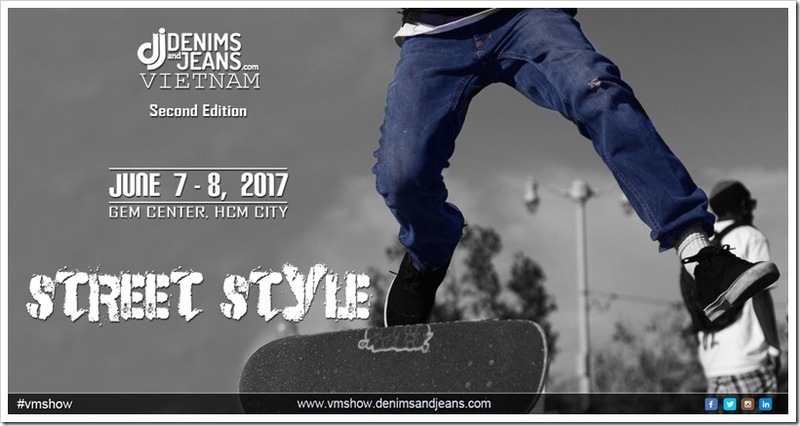 Please save the dates for the second edition of Denimsandjeans Vietnam to be held on June 7-8 at Gem Center, Ho Chi Minh City , Vietnam . For invitation , please register here.